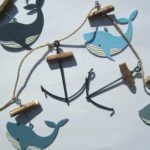 A fun garland of crabs and fish. 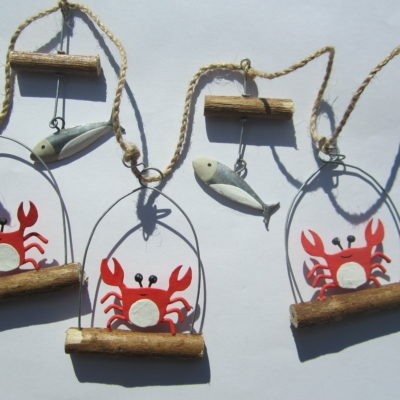 This crab and fish garland is great fun and perfect to remind you of memories of crabbing in Looe! It’s beautifully designed and hand painted. 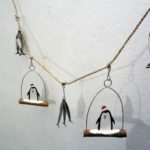 Made from tin, driftwood and natural jute, it has a rustic charm. 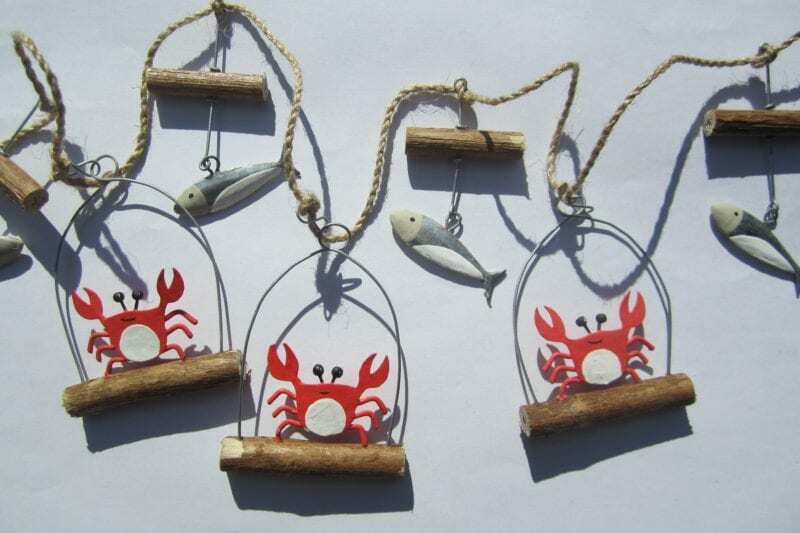 It comprises of three crabs and four fish.